Browse: Home / Damn Vulnerable Node Application (DVNA) is a PHP/MySQL web application that is damn vulnerable. 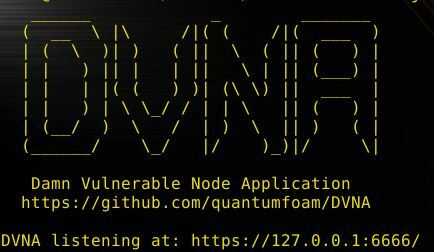 Damn Vulnerable Node Application (DVNA) is a PHP/MySQL web application that is damn vulnerable. Damn Vulnerable Node Application (DVNA) is a PHP/MySQL web application that is damn vulnerable. Its main goal is to be an aid for security professionals to test their skills and tools in a legal environment, help web developers better understand the processes of securing web applications and to aid both students & teachers to learn about web application security in a controlled class room environment. The aim of DVNA is to practice some of the most common web vulnerability, with various difficultly levels, with a simple straightforward interface. Please note, there are both documented and undocumented vulnerability with this software. This is intentional. You are encouraged to try and discover as many issues as possible. 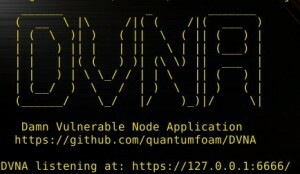 Damn Vulnerable Node Application is damn vulnerable! Do not upload it to your hosting provider’s public html folder or any Internet facing servers, as they will be compromised. It is recommend using a virtual machine (such as VirtualBox or VMware), which is set to NAT networking mode. Inside a guest machine, you can downloading and install XAMPP for the web server and database. We do not take responsibility for the way in which any one uses this application (DVNA). We have made the purposes of the application clear and it should not be used maliciously. We have given warnings and taken measures to prevent users from installing DVNA on to live web servers. If your web server is compromised via an installation of DVNA it is not our responsibility it is the responsibility of the person/s who uploaded and installed it. ← Updates Blade – A webshell connection tool with customized WAF bypass payloads, also a replacement of Chooper.